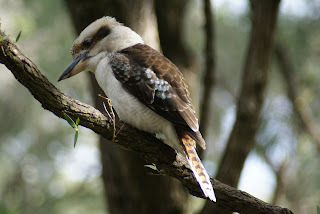 The second part of our holiday was 3 days in the South West camping. We were a bit concerned with weather warnings all over the state, but we managed to miss the worst of it. 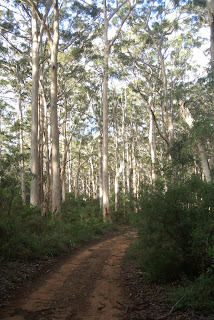 We were camping at Hamlin Hollow, Contos Field on Caves Road, not far up from Augusta. 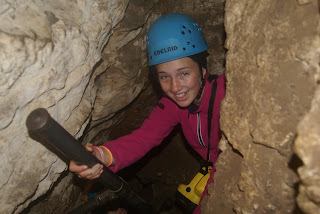 We climbed through Giants cave, a self guided cave that takes about 1.5 hours, the kids loved it as much as it was a bit scary in parts where you have to get through small tunnel like bits. 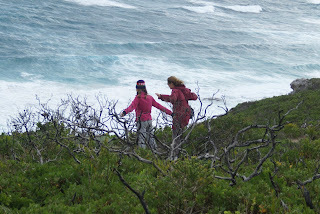 We drove along the coast track from Contos to Point rd and took Point straight back to Caves Rd. This Point Rd was heaps of fun, a good 4WD track with some big water over the track and lots of ugly rocks! The kids loved every minute…so did Dad, Mum loved it, although I am aware that essentially this is her car and every time we scratched the paint or bottomed out I think she wondered if she would have her car back. 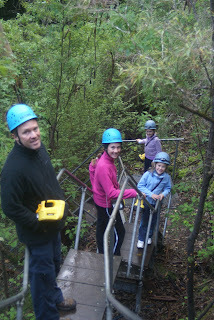 We also took the Kilcarnup track one day, now that was an amazing track – LOTS of fun! 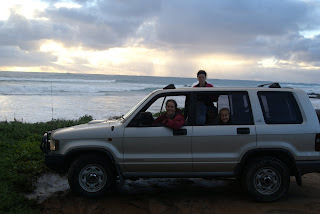 Of course I didn’t buy this car because it was a 4WD, just because it was a diesel…a FUN diesel! The showers seems to move around us mostly. 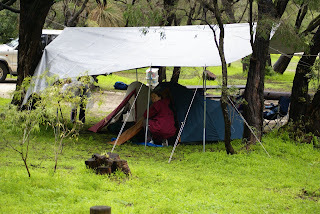 We had a big tarp over the tents, which gave us extra security in case of big rain and we didn’t really get any until the last night – we woke up dry. 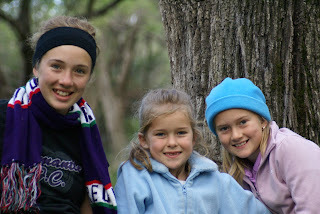 We roasted marshmallows and had marshmallow and chocolate burritos on the hotplate on the fire. 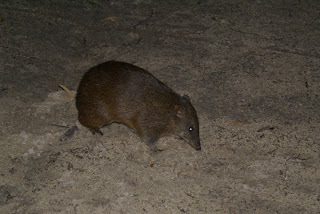 We saw Bandicoots, Possums, Owls, roos, Kookaburras and more. Nice to see beautiful photos of you girls!! And you too Scott.